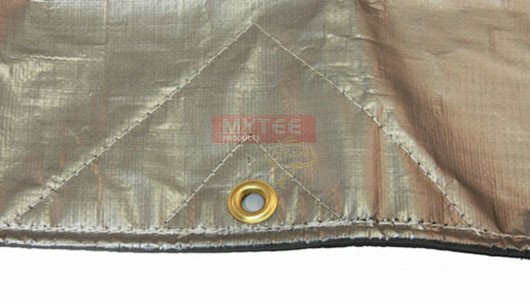 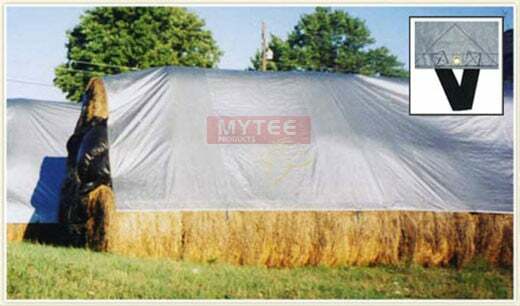 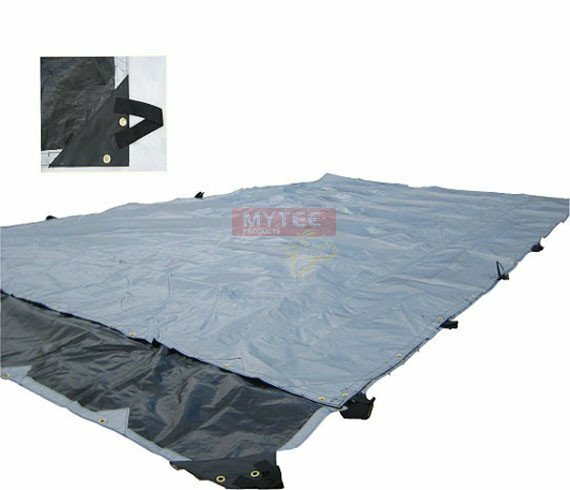 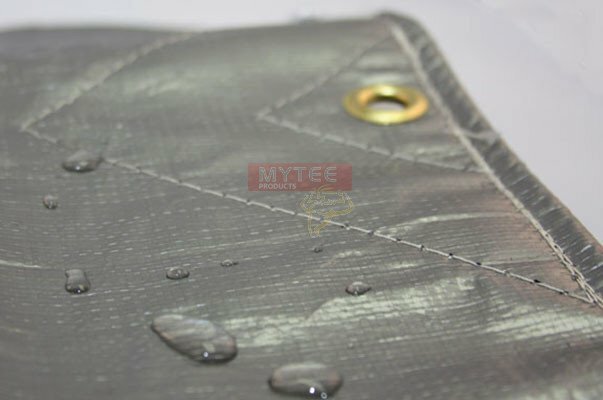 Heavy Duty waterproof Hay Tarps from Mytee Producuts protect your hay bales from the weather elements such as rain, wind and snow. 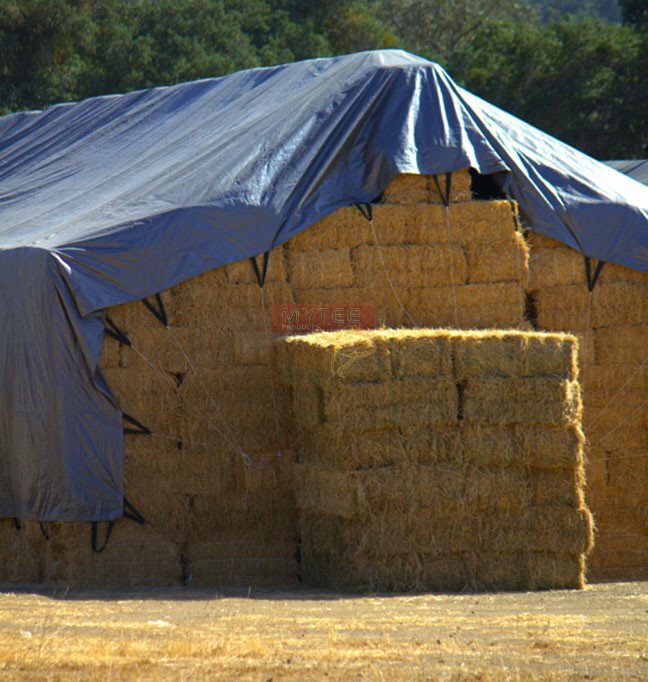 Each hay tarp is re-enforced on the hems with poly rope. 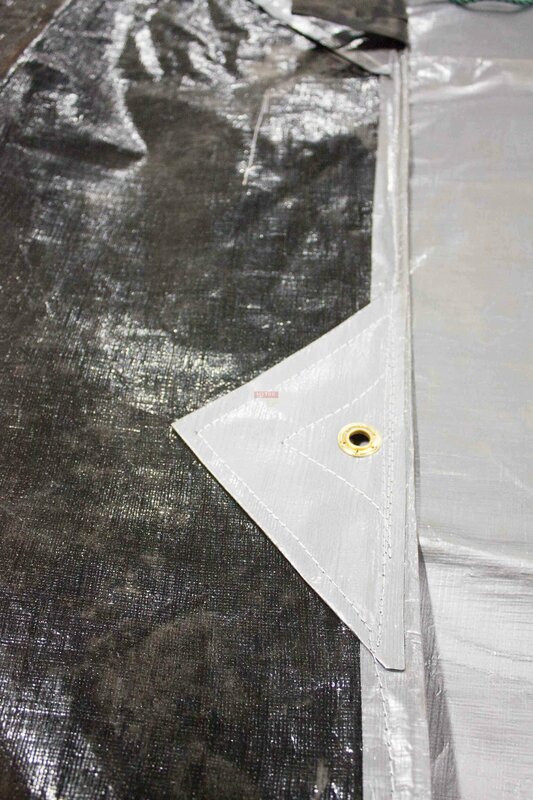 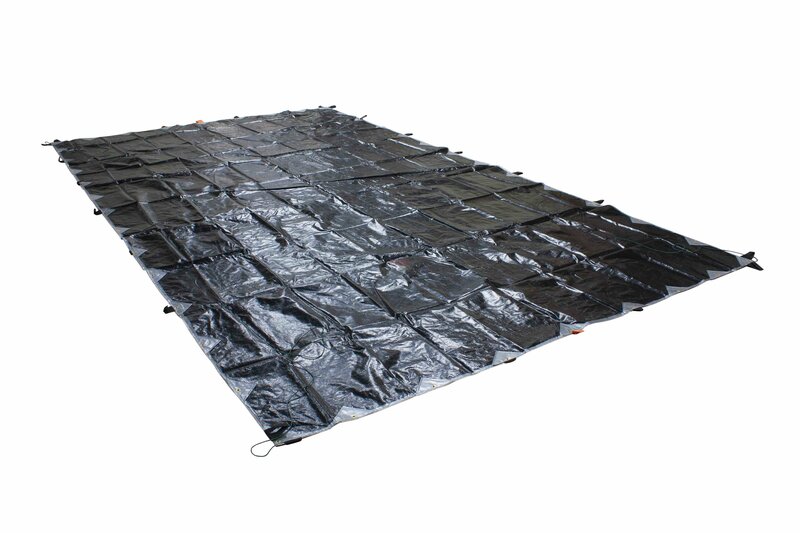 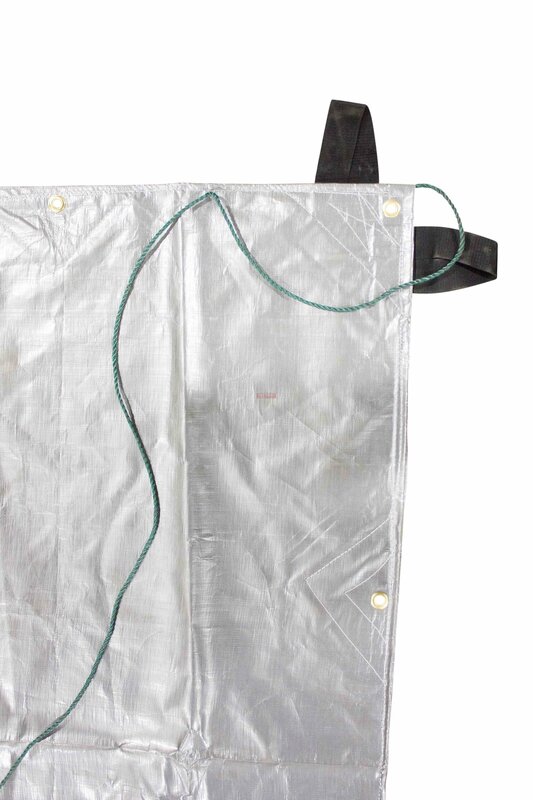 The tarp's heavy duty construction ensures it will last through harsh weather conditions. 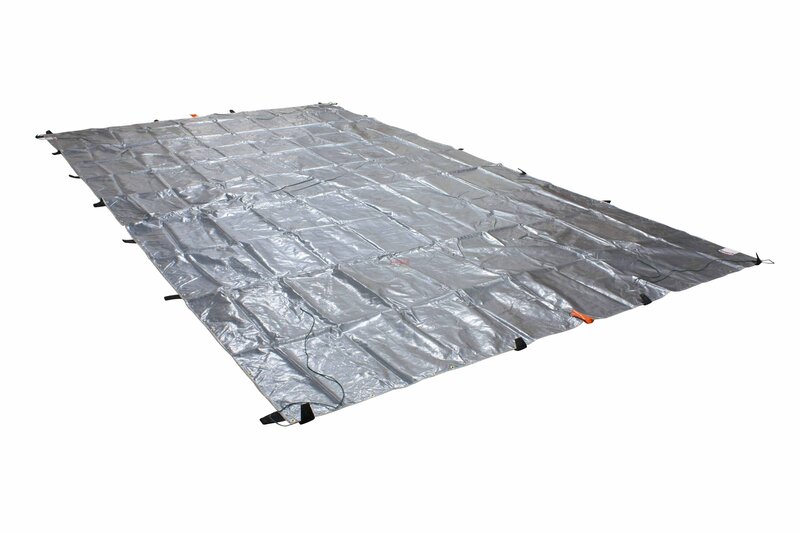 Looking at the HT28-48, wondering the expected delivery date? 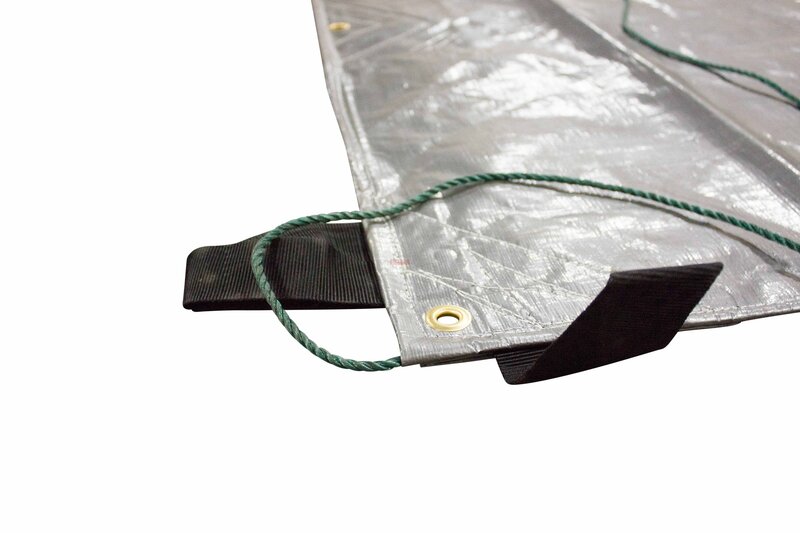 1 - 5 business days depending on location and inventory. 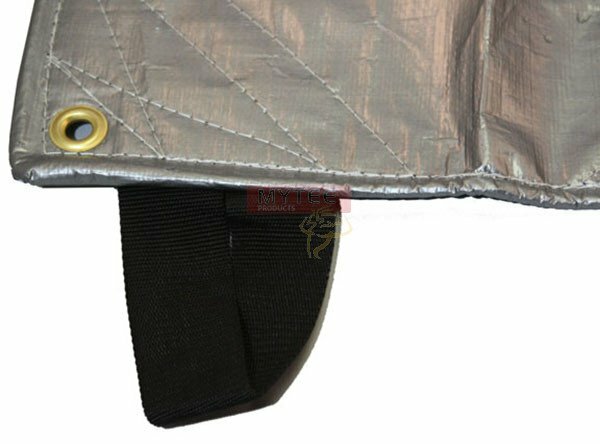 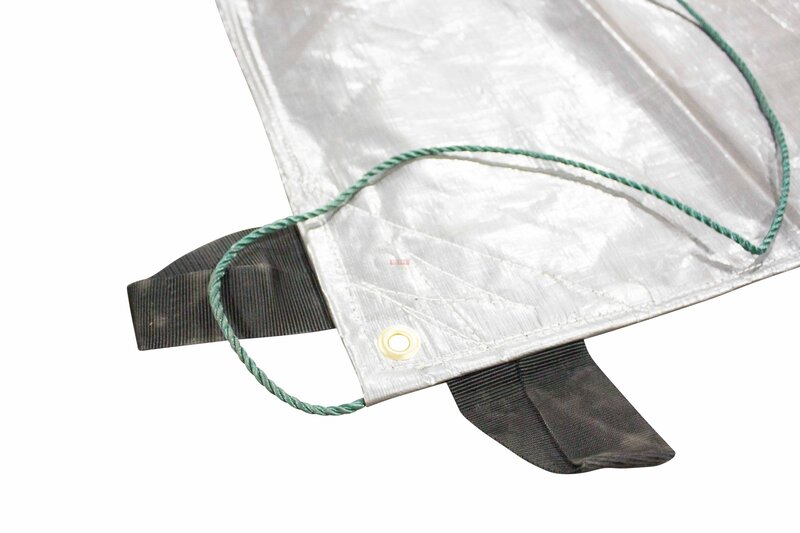 On the 25' x 33' tarp, are the webbing loops along the 25' side or the 33' side? 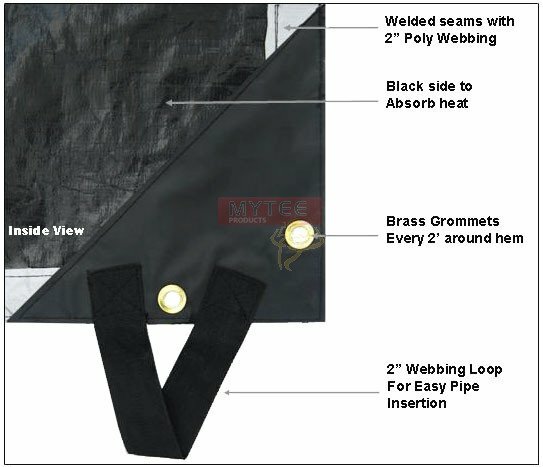 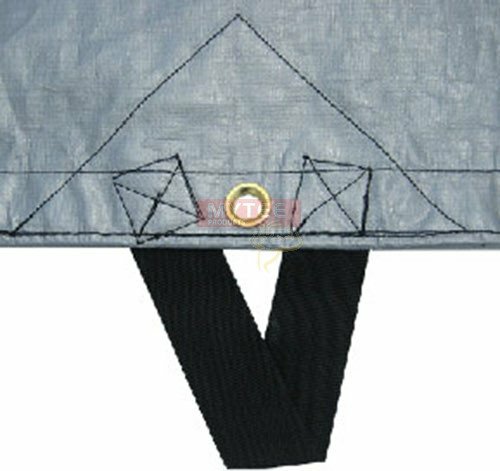 The webbing loops are on the 33' long side and you will have grommets all the way around. 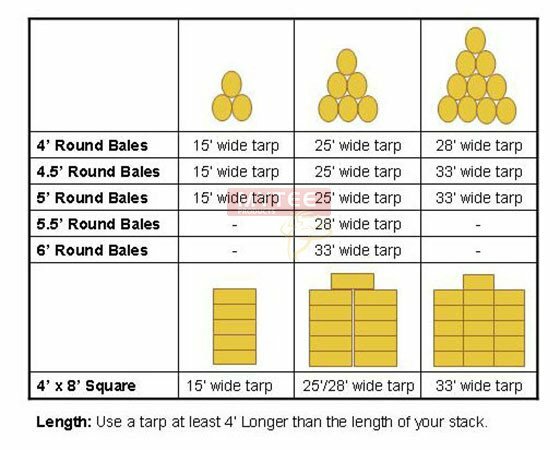 for 5' wide bales we recommend a 33' wide tarp in a 4-3-2-1 hay stack configuration. 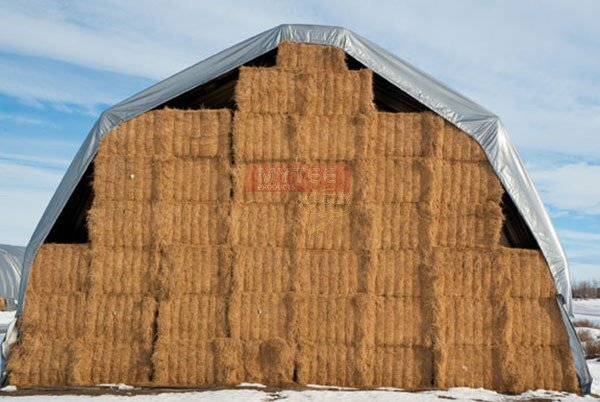 You should be able to accomodate 80 bales if they are 5.5 feet long. 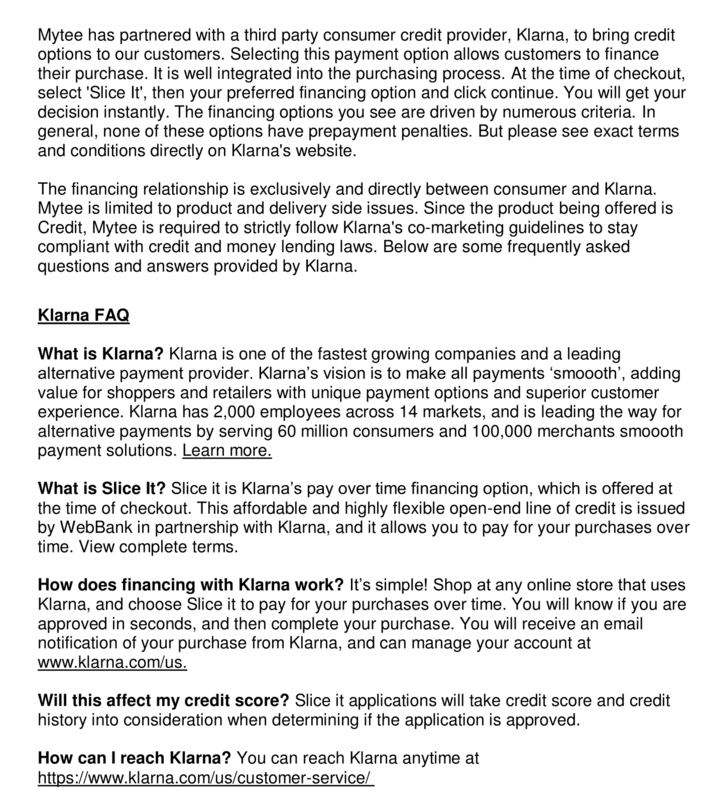 Please call us at 888-705-8277 if you have any questions. 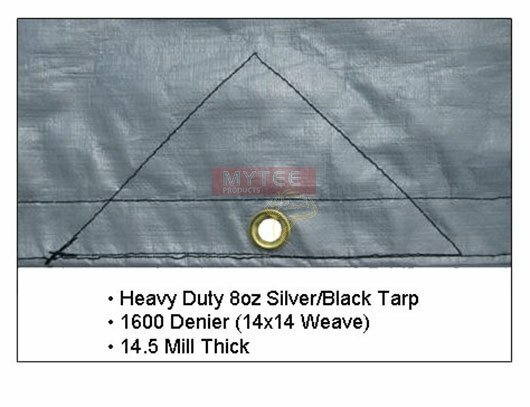 Is the 8oz hay tarp a Sunshield product? 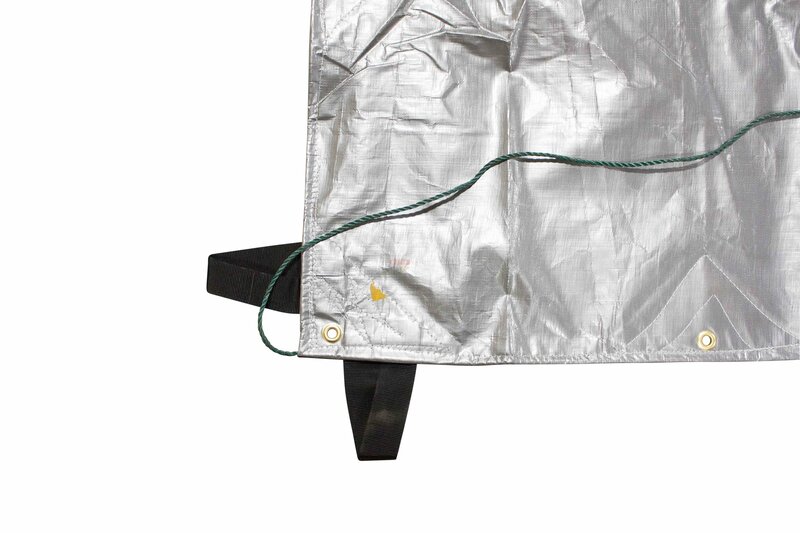 No, they are a private brand.